Hello there. So I hear you’re learning to be a PHP programmer! Thanks, Brett, it’s really nice to meet you. Even less impressive than its complexity (or lack thereof) is the script’s format. It’s just plain text. There’s no formatting; in other words, no H·TML. In this chapter, you’re going to inject HTML into your scripts. No command-line prompts and boring text. By the time you’re through, your script will be speaking the language of the Web-HTML. 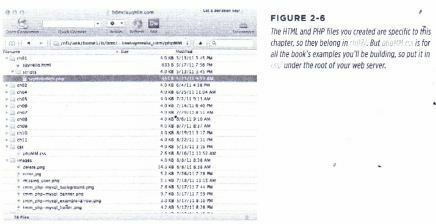 In addition, you’ll see how PHP does one of its core tasks: respond to an HTML form . Before you can start doing fancy party tricks with PHP, you’ve got to get over a bit of a conceptual hurdle. 50 far in your web programming journey, you’re probably used to thinking about the technologies you’ve learned in strict categories: HTML is markup, the structure of your page; (55 applies style to that structure; and r Java5cript adds some interaction, with everything from alert boxes to validation, redirection, and widgets. 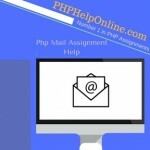 PHP scripts are identified by the extension .oiu» Accordingly, web servers that supports PHP see a file with a .pi1IJ extension and hand that file off to the PHP interpreter for processing. 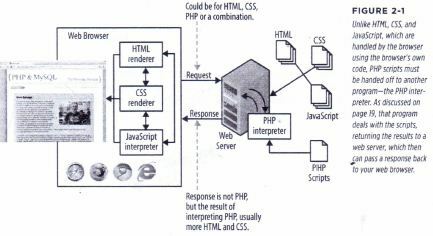 The interpreter does its thing and hands the result of the interpreted script back to the web server, which in turn passes that response along to a user’s oJ web browser. Another look at this process, which is shown in Figure 2-1,might help. But what’s inside that script can be…well, all sorts of things. Remember, it’s the output of a PHP script that is ultimately handed off to a browser, so that response C”‘: t be PHP. It must be some combination of HTML, C55, and Java5cript-the things that a web browser knows how to handle. You might be thinking, “Ok, I get it. I can use that echo command from Chapter 1 to output HTML, right?” Or maybe if you”ve used jQuery, you’re already a step beyond that: “Maybe there’s some cool PHP toolkit that makes building up an HTML and C55 response easy.” Although both of those thoughts are true, as you’ll see in this section, they’re actually not the simplest way to have a PHP script generate an HTML response. Even worse, if you open the file in your web browser (using the browser’s Open command, for example), the browser won’t know what to do with it. It will probably ask you if you want to save the file (as demonstrated in Figure 2-3). 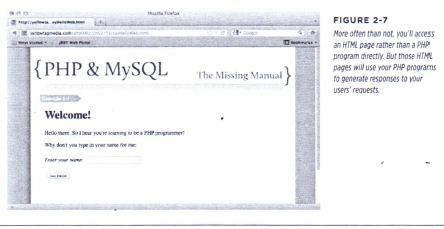 As you learned in the previous section, the browser can’t handle reading a PHP script. but when you access the page through a locally running web server, things just work. That’s because the PHP interpreter is perfectly happy to take the HTML in the PHP script and push that HTML out as a response. The web server sends that HTML on to a browser, and this time-because the browser is getting HTML, not a file with ao. :o extension-it displays the HTML as a web page. Now you’ve seen how a PHP script can return a full-blown HTML web page that any browser can display. Well, that’s actually what you’re going to be doing a lot in this book, starting in the next section: you’ll do some programming in your scripts, and return HTML as a response. This means that your form is going to submit its information to a program called ).pilp, a new PHP program you’re just about to write. (This time it will do more than just crank out HTML without any programming at all!) Once the form is submitted, sayilelioWel).php takes over, the PHP interpreter runs the code, sends out the response from <;ayl-!eifoWet) CPt:’, and hopefully that response is something a user;s web browser can understand and display. • The page starts out with a normal <html> element and head section. 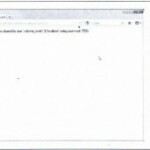 • The page defines a heading with <hi> and prints “Hello,”. • The < 7php tells the browser some PHP code is coming. Then, the $_REQUEST II variable is accessed, and a property called namewithin that variable is printed by using echo. 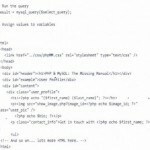 • The rest of the HTML is output, just as in sayHelioW0b.html. Variables are not just names, either. They also have a value. So the value of $myHeight might be the number 68 (for 68 inches) or the text “68 inches.” In PHP, though, you’re not stuck with that value forever. You can change the value of a variable, which is where the word “variables” comes from: a variable venes, or changes. In sevi=itc veb.oi.i: you’re using the special PHP variable $_REQUESTto get the user’s name, which she entered into the form you built in sDvl-ie!io\:VeL),t”ln’. 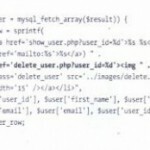 PHP gives you the ability to get to anything a user entered into a form by using $_ REQUESTand the name of the form entry field-in this case, “name.” So, $_ REQUEST[ ‘name’] returns the information a user put into a web form, specifically into an input field called “name.” If the user also entered in her phone number, say into a form field called “ohonerturnber.v vou could get that value in PHP with $_ REQUEST[ ‘phoneNumber’ ]. Once your PHP program grabs the value from the “name” form field, it prints out that value by using echo, something you’ve already used in your first PHP program (page 38), That value is dropped right into the HTML that’s sent back to the browser- something you’ll want to check out for yourself by running your new program. 50 far, you’ve got an HTML page, a PHP script, and some C55 and images that are used by both. But, unless you plan on parading your user base through your office or den and letting them use your computer, things are pretty limited. This script only works on your local machine, and that’s got to change. It’s time to get your programs out to the masses (or at least your buddy a few cubes down who doesn’t believe you’re a real programmer). That means you need a iI0Sti;)g crovuier. often called an tntcr=e: Service Provui»: (15P) or web hosting company. 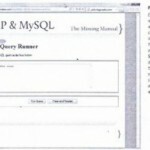 All a hosting provider does is provide you with server space to house your web sites and applications; software to serve up your HTML and C55 and Java5cript-and now your PHP and My5QL; and some connection with the domain name service (DN5) so that people can access your site with a name like cooiPiJpSttes,mm instead of 98.234.1.23. Once you’ve got a hosting provider, it’s just a matter of getting the right connection information, and getting your files online. Finding a hosting provider that fits what you’re looking for is probably the hardest task; for some help on that tricky problem, check out the box below. Once you’ve selected a provider, there are a couple of key bits of information that you’ll need: the hostname to which you can FTP (page 8) and connect via 55H or tel net, and the directories into which your web files should go. If you’re unfamiliar with connecting by using FTP or 55H, your hosting provider probably has some helpful tutorials on how to do all of this . • PHP support (version 5 or higher) MySOL support (version 5 or higher, preferably 5.5 or higher) Some type of terminal access to your account, like telnet or SSH. Some type of FTPaccess to your account. Once have your hosting provider set up, it’s time to upload some files. • Root or Home Directory (/). This is your web root in which you put all of your HTML. This usually is the location referenced by a URL like .’leiiow[c3Qrnedid without any specific file-after the web server name. • CSSDirectory (css/). This is the directory in which all of your site’s (SS is stored. • PHP Directory (scripts/). Here’s where you’ll put all of your PHP programs. Again, you could call this something more specific like Dilo/ or piipScripts/, but more often than not, websites use scrtots/ for this directory, so following that lead is a good habit to get into. Once you have everything in place, your web server directory structure should look something like Figure 2-6 .
get a response back, similar to Figure 2-8. This is the same form and response you saw back in Figure 2-5. 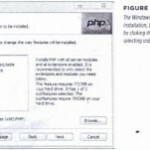 Whether it’s on your own computer or a remote server, the web page looks the same . 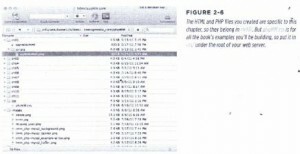 As you’ve probably already realized, when it comes to running your scripts, the hardest part often isn’t the PHP. Instead, it’s figuring out where things go for your particular hosting provider. 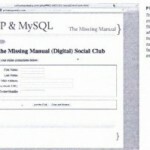 Where do your web files go? directory, or som’ewhere else altogether? Usually, you’ll see either a, r or directory. Or, to be even safer, just call or email your hosting provider and ask them. They’ll have an easy, definitive answer to this Question. Fortunately, these are all issues that once you figure them out the first time, you usually don’t have to figure them out again. So, take the time now to ensure that you can run your PHPon your hosting provider. Even though it’s nice to have PHPrunning locally, it’s online that PHPreally shines, ~nd the same will be true for MySQLsoon. .Going forward, it will be assumed you’re running things online, as well. So, although you can use a tool like Dreamweaver, NuSphere,or Eclipseto edit your scripts locally, all the examples and instructions expect that you’re uploading and running things remotely, on a hosting provider.